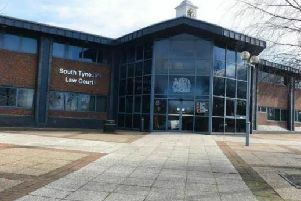 Officers were called to South Shields Metro station. There are delays to the Metro service between South Shields and central Newcastle after police were called to assist with an "obstructive" passenger at a station. Northumbria Police confirmed officers were called to South Shields Metro station shortly before 11.30am today to reports of a "passenger being obstructive" on a train. A spokesman for the force continued: "The individual was reported to have had a disagreement with staff after not having sufficient money to buy a ticket. "The situation [was] resolved without the requirement for police assistance." Nexus confirmed on the @MyMetro Twitter account that there were 15-minute delays to the service from South Shields to St James' while the situation was dealt with. A Nexus spokesman said: “There were delays between South Shields and St James due to a police incident at 11.30am.